Thinking of moving to Carrollton, TX? The Dallas suburb is proof that the area is teeming with new residents, homes, jobs and plenty of fresh ideas. Whether you’re a Texas local looking for a new place to call home or you’re making the Lone Star State your state for the very first time, Carrollton is a great place to call home. The suburb, which is located about 20 miles from Dallas, boasts a growing population of 133,351 residents. The median age of Carrollton is 36, which makes this an excellent choice for young families or young professionals looking to buy homes and raise children. Intrigued by the possibility of your own Carrollton address? Here are a few things to know about the Dallas suburb. If you’re a fan of warm weather, we’ve got great news for you. Temperatures in Carrollton tend to stay pretty warm year-round. Fall and spring offer mild, pleasant days. Summer brings scorching temperatures and crazy humidity, while winter can offer a few chilly days and rare but occasional snowfall. In the late spring, you can expect plenty of rain. Don’t worry, you’ll get through the hot summers in Carrollton. The hottest recorded temperature in town may have been 112, but that was over 30 years ago. Carrollton has experienced a lot of growth over the years, and there’s no end in sight. While some folks complain that Carrollton is getting crowded, we’re happy to report that despite that growth, median home prices have stayed reasonable at about $209,800 as of 2016. At the same time, the job market is booming in Carrollton. The town boasts a median household income of $70,673 and a steadily dropping unemployment rate of 3.5%. Niche recently ranked Carrollton as the 24th best suburb in the Dallas Fort Worth area. Overall, Carrollton was awarded an A grade. 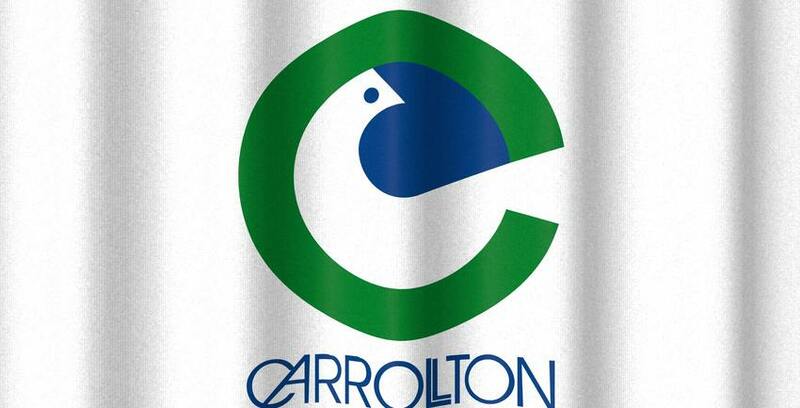 The website praised Carrollton’s public schools, job market, family appeal, diversity and nightlife options. If you’re a dog-lover, you know that finding a dog-friendly community is crucial. Fortunately, Carrollton offers plenty of amenities for you and your four-legged friend. The Department of Parks and Recreation hosts an award-winning 5k that you and your dog can compete in together. There are also plenty of dog-friendly restaurants including a Jamaican kitchen that serves fish and grits for brunch and a taco shop with outdoor seating. Dogs and their humans should be sure to add the Dog Day Afternoon to their calendars. This outdoor festival celebrates canines with a dog costume contest, dog psychic, a puppy kissing booth and a parade. Sick of the lines at Six Flags? In Carrollton, you can spend your summers riding the rides at Sandy Lake Amusement Park. This family owned and operated amusement park features 20 rides, a swimming pool, mini golf, paddle boats and an arcade. Be sure to check the park website for information on special events such as picnics, car shows and holiday gatherings. Downtown Carrollton celebrated its centennial in 2013. You can experience the area’s past and present by spending some time exploring downtown’s two historic parks and then grabbing a bite at a modern eatery. Dining options include a wine bar, pizza shop and an ice cream parlour. There’s also a diverse array of shops to check out. After a day of browsing, head to the Carrollton Plaza Arts Center. This art deco theater features live shows, art exhibits and even dance classes.